My grandmother passed away this morning. 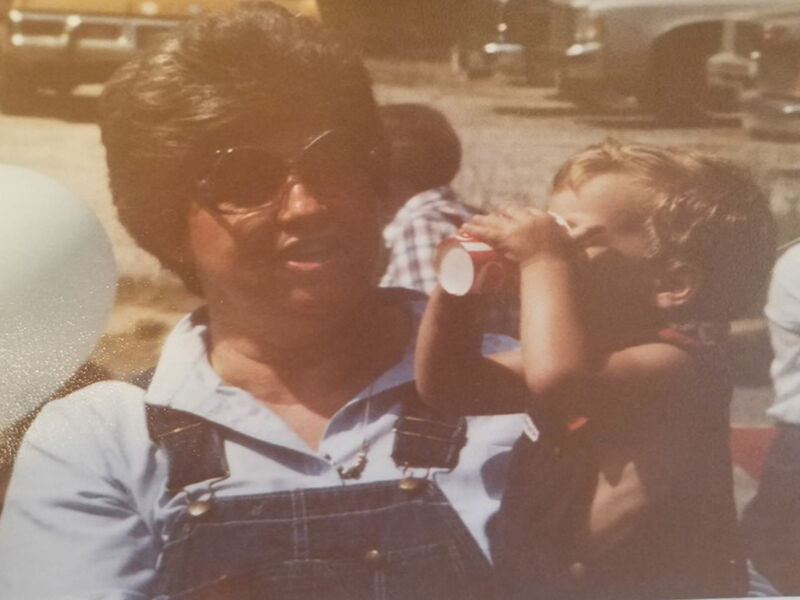 Seems like yesterday I was slouched down in a gray metal chair with her and Papa flanked on each side, playing bingo in a room full of cigarette smoke and ash trays at Wylliesburg Fire Department. “Gary, Jeff. Jeff. I know your name. Go up there and get a bologna burger if you want,” she would say. I have a lot of fond memories of Granny, but death has a way of activating certain dormant memories we thought long forgotten. Snapping green beans with her was one that came to me today, so I wrote about it. THE WAGON wheels were a burnt umber, dipped in rust and time and memories from a bygone era when the wheels turned carrying a buggy into town, a time and place far different than their present purpose, still, unmoved, a cast iron wheel on each end serving as the foundation from which the picnic table top rested. Two large oaks flanked on each side of the splintered table stood guard atop the slope like stalwart soldiers overlooking Papa’s garden below. A large stainless steel cooking pot with its lid removed sat with us at the table like a mute friend, as did a paring knife. Before us a bucket full of raw green beans. “Grab a handful and get to work,” she said. She could be found in her nightgown at times, without even a touch of makeup which was unusual for those who knew her, with an unsnapped green bean in one hand, and her bottom resting on the picnic table seat. We didn’t use the blade much unless a green bean became troublesome like a small boy run amok barefoot in his grandfather’s garden. Us kids didn’t use the blade at all. We knew better. She didn’t know that then. Her hair was darker in those days, both natural and un-natural; and there was always a hint of perfume on her creamy skin, even after she washed. It was her scent, which, no matter how red your skin became from scrubbing with a washcloth and warm water and soap, would stay with you for a solid day when she pulled you in for a hug and a kiss hello, for a hug and a kiss goodbye. —like stalwart soldiers on guard. Perhaps her hands are steady again. An unsnapped green bean in one.